it would be great to get a compete box of single serving protein in every flavour so we can choose the ones we like with out buying in bulk first. Whats the point in having a sample when you offer a very limited range of flavours? I bought samples of this product because I wanted to try it out before I purchase a bigger pouch. The Vegan Blend that I tried tasted so horrible that I gave it away. The problem is that there was no unflavored samples (please make them avaliable) to try, so trusting the other reviewers, I chose the Mocha, Latte and Chocolate. I must say, the Mocha smells and tastes AMAZING. The problem is that it was much too sweet. And I really dislike sucraclose. If the sweetener can be changed to maybe 3% or less and use brown sugar/honey/molasses instead, I think I would buy heaps of this. Coffee caramel flavour is amazing! What a fantastic taste. 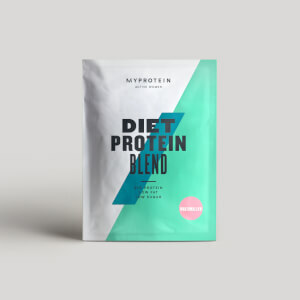 I've come to expect a high quality product from Myprotein and I wasn't disappointed. But the taste of maple syrup was outstanding. I'll definitely be buying a large pouch soon. If you like a sweet taste try this out. It's awesome. This site was recommended by a friend, delivery was exellent, choice of flavours is great and also the sample packs are a great idea you can try them all before settling on buying one big pack in your favourite favour! I have been a frequent user of the chocolate smooth impact whey for a good 6 months now and it has been excellent. I put 2 scoops into my porridge every morning and also use it in pancakes and as a shake. 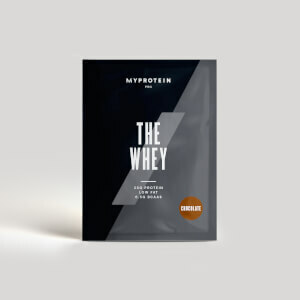 The protein powder mixes perfectly with milk and it has a great taste. Would highly recommend. taste is very nice. it doesn't taste overly sweet or fake. I think it tastes really nice with water so no need to go with milk. It doesn't leave any bits or clumps-unlike some brands.